The Nordic large cutlery carry tray has been designed with smart table or worktop storage in mind. With four compartments and two integral handles for easy lifting, then finished with rustic dark stained wood. 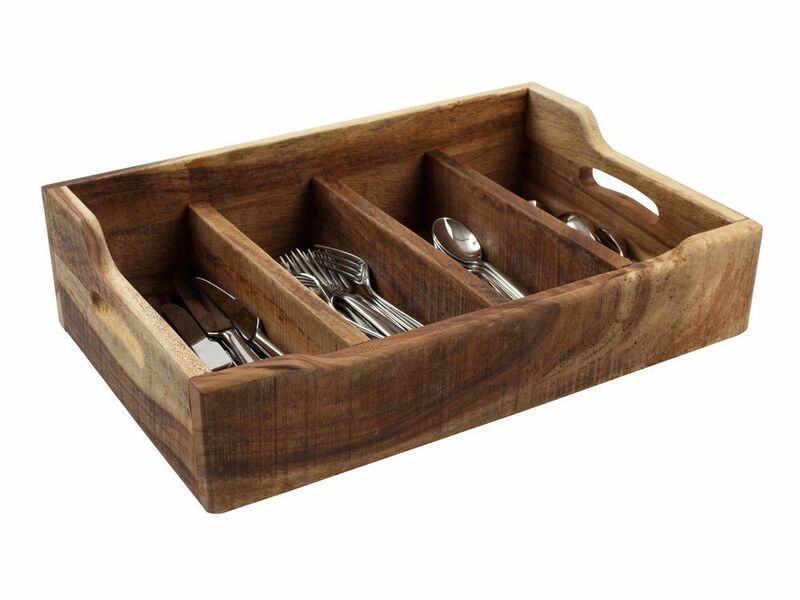 The chunky rustic wooden open cutlery box is the perfect kitchen to table accessory. Due to the natural patterns of acacia wood, some variations may occur. Matching Nordic items are also available.